Had a chance to see Mickey today. The experience was incredible, very enjoyable. This is going to be wildly popular with the GP. Here's 2 videos I filmed while waiting in line and when we got to see Mickey. I apologize for the bad filming in advance as I wasn't really watching the screen during our meet, and I put the camera down thinking we were going to take a picture. I wonder if they will slip a few decorations onto the animals or scenes of the ride itself. I think the crocodiles should wear elf hats and chew on elf legs. I find it really interesting that they're doing this at one of the Florida resorts! Maybe a step in the direction of getting Haunted Mansion Holiday!?!? During Halloween week, we’re offering some ghostly “Limited Time Magic” surprises at The Happy Haunted Horseshoe at the Walt Disney World Resort that’ll include daytime performances by the Cadaver Dans as well as special themed cupcakes and treats. 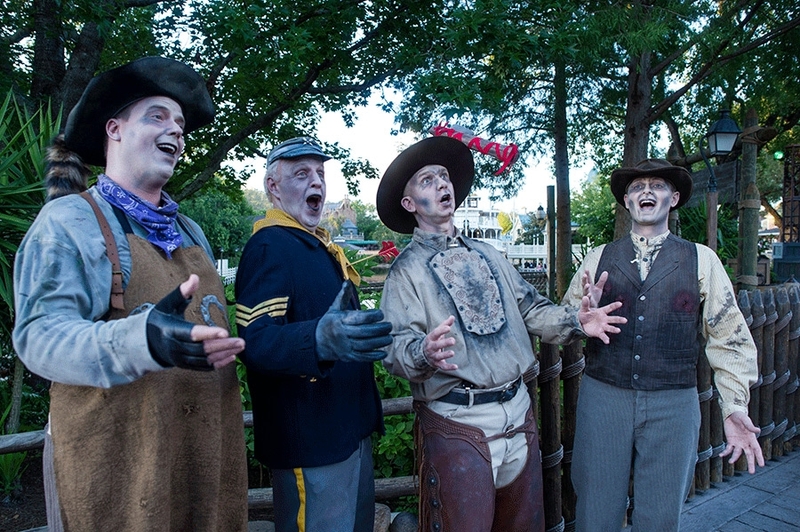 Beginning Monday, The Happy Haunted Horseshoe will feature ghostly entertainers dead-set on delighting you with spooky tricks and treats inside the Diamond Horseshoe Saloon at Frontierland. Each day between 11 a.m. and 3 p.m., you’ll be able to join hostess Miss Betty Blue as she calls forth the harmonies of the Cadaver Dans, Dearly Departed Stan the piano player and morbid magician Abner Cadaver. There will also be snacks and Halloween cupcakes at The Happy Haunted Horseshoe to enjoy during the entertainment. This “Limited Time Magic” opportunity is only happening October 28 – November 1 at the Walt Disney World Resort. Be sure to check the Disney Parks Blog later today to find out what’s planned for Halloween week at Disneyland park. Moose wrote: I wonder if they will slip a few decorations onto the animals or scenes of the ride itself. just to the dock and the boats. if they added Christmas themeing to the jungle settings. 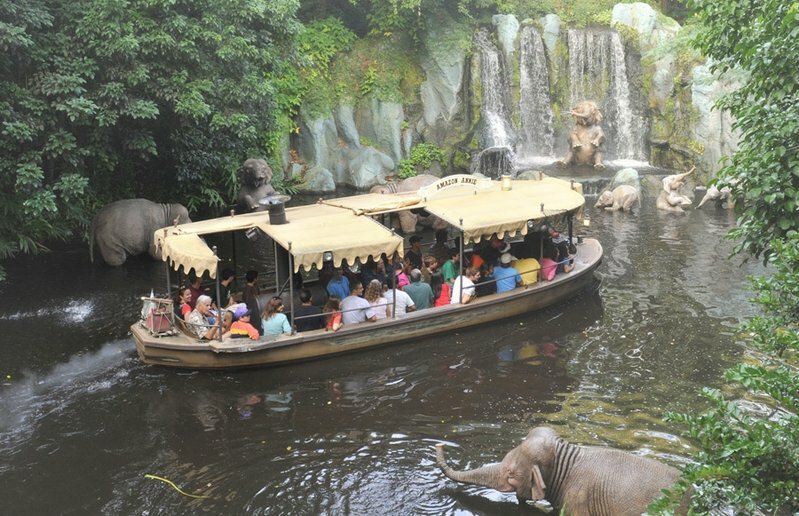 Does anyone know the exact date when JINGLE Cruise opens (No, that is not a typo I just made). It's supposed to be in early November. SharkTums wrote: I find it really interesting that they're doing this at one of the Florida resorts! Maybe a step in the direction of getting Haunted Mansion Holiday!?!? Oh, I really hope so! I'm sure there will be a lot of eyes on this one to see if a seasonal make-over of an attraction will go over well. I totally understand why WDW doesn't do it, but I'd love to see Haunted Mansion Holiday here! I really like the seasonal changes they do, like Haunted Mansion at DL. I hope it works out well so we can see more like it in the future!